Millbrook-born Jenkins did not play juvenile football after a prolific record at primary school, but at 16 he was asked at short notice to fill a gap in his local side. From there he went to Truro before joining Argyle as a semi-professional in 1957. He made his debut in 1958 and his first league goal was in a home fixture against Chesterfield; their goalkeeper that day was none other than Gordon Banks who went on to be England’s custodian, including the World Cup Final win in 1966. 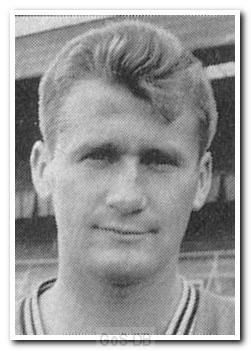 Jenkins was released by Argyle in December 1960 and joined Exeter City for the remainder of the season. He then moved to Torquay United, making 88 League appearances in three years, but he really made his name in eight seasons at Rochdale, where he scored 119 goals in 305 League appearances, and was a member of their first ever promotion side. He remains Dale's record goalscorer and in 2005 was voted the club's best ever player by its fans.